Benjamin Altman, 95, a violinist and a Local 802 member since 1936, died over the summer on June 25. Mr. Altman was born in the Bronx to Russian immigrant parents. He studied at Curtis, where one of his schoolmates was Leonard Bernstein. During his career, he played with the Philadelphia Orchestra as well as the St. Louis Symphony and under the batons of Eugene Ormandy, Arturo Toscanini and Andre Kostelanetz. He also played with the CBS Orchestra. Mr. Altman was a supporter of the Clean Slate reform movement within Local 802 in the 1960s and later was a member of the Local 802 Executive Board under John Glasel and the Members Party. But music was not Mr. Altman’s only passion. He was always drawn to law and put himself through the NYU School of Law by working as a violinist on radio shows. He later became a New York Assemblyman, commissioner of rent and housing maintenance for New York City, a criminal court judge, and, ultimately, a New York State Supreme Court Judge from 1978 to 1984. He is survived by his daughter Luby, son Sanford, grandchildren Dierdre, Eric, Glenn, Arielle and Nicholas, and great-grandchildren Gabe and Caleb. Obituary information from the Philadelphia Orchestra Playbill and the Riverdale Press. 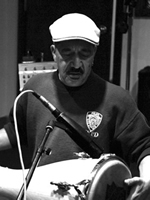 Milton Cardona, 69, a conga player and percussionist who first joined Local 802 in 1967, died on Sept. 19. Mr. Cardona, who played off and on with Willie Colón for 40 years, was a bedrock of the salsa scene in New York. 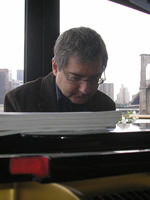 He collaborated with Tito Puente, Herbie Hancock, Paul Simon, David Byrne, Celia Cruz, Eddie Palmieri, Don Byron, and many others on over 500 recordings throughout his career. His band Eya Aranla was known for popularizing the sounds and rhythms of Santería rituals from the Aftro-Caribbean tradition. Mr. Cardona was born in Puerto Rico and moved to the Bronx when he was 5. After studying violin, he became a studio bassist and percussionist. Later in life, Mr. Cardona recorded fusion albums in the 1990s with Lebanese oud player Rabih Abou-Khalil. He also played on the Tito Puente/Eddie Palmieri album “Masterpiece/Obra Maestra,” which won a Grammy in 2000. 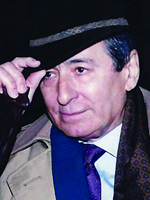 He is survived by his wife Bruni, daughter Carmen, sons Milton Jr. and Sergio, sister Milagros and two grandchildren. 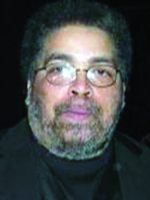 Lloyd Carter, 58, a violinist who first joined Local 802 in 1976, died on May 11. Mr. Carter was born on March 3, 1956 in New York City to Langston G. Carter Sr. and Annabelle E. Carter. He was the middle son of triplets. Mr. Carter attended the High School of Music and Art, and continued his violin studies at the Manhattan School of Music with Raphael Bronstein. He worked as a freelance violinist throughout New York City, including performances in Broadway orchestras and on numerous recordings. Mr. Carter performed with the Dance Theatre of Harlem Orchestra, the Harlem Festival Orchestra, the String Reunion and the New York City Housing Authority Symphony Orchestra, where he also worked as the ensemble’s administrator and contractor. Mr. Carter also loved photography and motorcycles. He is survived by his brothers Langston and Harold, sisters Marcia and Helen, and his nieces and nephews. 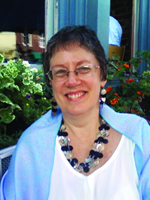 Valentina Charlap-Evans, 61, a violist and a member of Local 802 since 1978, died on Sept. 14. Ms. Charlap-Evans performed for over 30 years in the Hudson Valley and in New York City. She served as principal violist of the Hudson Valley Philharmonic, taught privately, and was an award-winning alumna of the Tanglewood Music Festival. During her career, she performed with the Festival Casals in Puerto Rico, the Calgary Philharmonic, the Albany Symphony Orchestra, the Springfield Symphony Orchestra and the Northeast Pennsylvania Philharmonic. She also conducted and sang in the choir of St. Gregory Orthodox Church in Dutchess County. Ms. Charlap-Evans was an accomplished Byzantine iconographer. Her beautifully detailed and meticulous icons adorn the homes and churches of many of her friends and family. She is survived by her husband Joël, who plays oboe and is also a member of Local 802. She is also survived by her parents Eugenia and Vladimir, sister Melanie and husband Tim, sister Claudia and husband Dennis, and many nieces, nephews and godchildren. Ronald “spanky” davis, 71, a trumpeter and a Local 802 member since 1979, died on Oct. 23. 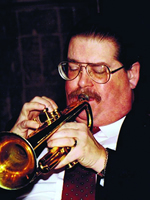 Mr. Davis grew up in a family of musicians and started playing trumpet at age 7. By the time he was 15, he was already playing professionally, a career that lasted over 50 years in big bands, Latin bands, jazz bands and on recording dates. He was hand-picked by Roy Eldridge to replace him at Jimmy Ryan’s in 1980. He also worked with Gerry Mulligan, Machito, Sam Jones, Frank Sinatra, Annie Ross, Benny Goodman, Mel Lewis, Buddy Tate, Al Cohn, Tito Puente, Panama Francis, Bob Haggart and Arvell Shaw’s Louis Armstrong Legacy. He also toured around the world with his own quartet and other groups. He is survived by his wife Rosemary, son Aaron, daughter Lisa, son-in-law Andrew, daughter-in-law Suzette, grandchildren Russell, A.J. and Melanie and four great-grandchildren. He is also survived his brother Jan “Boogie” Davis, a jazz saxophonist in Oakland, Calif. The family recommends donations in Mr. Davis’ memory to the Laurie Frink Career Fund, Alsop Family Foundation, c/o Horsfall & Fipps PC, 777 High Street, Suite 100, Eugene, OR 97401. Max Ellen, 88, a violinist, died on Sept. 9. He had been a Local 802 member since 1952. Born to a family of theatrical artists in Hamburg, Germany, he started playing violin as a student of Henry Drobachevsky, the concertmaster of the Luxembourg Orchestra, who perished in the Holocaust. Mr. Ellen was a Holocaust survivor, arriving as a refugee in NYC on Dec. 3, 1941. After enlisting and fighting in the Army during World War II, he began a career as a violinist. Fresh out of the war, Mr. Ellen played in Yiddish musical theatre with Ida Kaminska, landed steady jobs at Chez Vito and the Copacabana, and all the while stayed active in classical quartets and orchestras. He later played in Broadway shows (including “Sweet Charity” with Gwen Verdon), in the New American Orchestra with Jack Elliott, and on countless recordings during New York’s studio heyday, including many sessions with Rudy Van Gelder for CTI. He became an in-demand session violinist and contractor for several jingle houses in town and could be heard nightly playing on various airline, soda and car commercials. He also played on the movie soundtrack to Henry Nillson’s “Midnight Cowboy” as well as many other films. Mr. Ellen played or recorded with Judy Garland, Ella Fitzgerald, Sarah Vaughan, Frank Sinatra, Nat King Cole, James Brown and Randy Newman, in addition to many other great talents. Mr. Ellen is survived by his daughter Caroline, son-in-law Rick, son Danny, daughter-in-law Antonella, and two grandchildren. Obituary provided by Max Ellen’s family. Otto Helbig, 98, a multi-instrumentalist, composer, arranger and conductor, died a year ago on Oct. 13, 2013. He had been a Local 802 member since 1946. Mr. Helbig earned a bachelor’s degree from Yale and master’s and doctorate degrees from Columbia. He served in the Army during World War II, working with many of the top musicians of the time to produce V-disks for distribution to troops all over the world. During this time, he wrote and directed an arrangement of “More Than You Know,” performed by the combined Jimmy and Tommy Dorsey Bands, the only recording ever made by the combined bands. His composition “The Pentagon” was played by the National Symphony in Washington, D.C. For 32 years, he was a professor of violin, musical composition and conducting at Trenton State College. After retiring, he was named professor emeritus. He was also known throughout the Princeton area for his jazz violin, sax and musical saw performances. His band and string compositions have been played at schools around the nation. Mr. Helbig played violin with several organizations, including the Hawaiian and Trenton Symphonies. During his younger days he toured Europe with the Yale Band. For the past nine years, Mr. Helbig had lived at Homewood Residences in Sun City Center, Florida, where he performed his music on keyboard for his fellow residents. His late wife, Mary, was a Broadway harpist in her own right. He is survived by his daughter Jann, grandchildren Bethany and Jeremy, and great-grandchildren Emma, Gavin and Stella. Edward Strauss, 66, who first joined Local 802 in 1968, died over the summer on July 6. 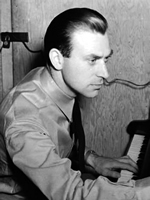 He had worked as a Broadway conductor and pianist/keyboardist. Mr. Strauss was the musical director of “Anything Goes” in its production at Lincoln Center in 1987-1989. On and off Broadway, he conducted, music coordinated, music supervised or music directed “Guys and Dolls,” “Urinetown,” “Lend Me a Tenor,” “A Funny Thing Happened on the Way to the Forum,” “The Mystery of Edwin Drood,” “Evita,” “Very Good Eddie!” “Baby,” “Is There Life After High School?” and “The Me Nobody Knows.” He was the original pianist for “Pippin” in its 1972-1977 run and assistant conductor for “Porgy and Bess” at Radio City in 1983 and on tour. He is survived by his nephew Matthew, niece Jessica, brother-in-law Edward, and many cousins and friends. E-mail obituary information to Allegro@Local802afm.org. Spouses of deceased members should call the AFM Pension Fund at (800) 833-8065, ext. 1311, to ask about any possible benefits.